Upload the content of downloaded archive, the`advanced-post-types-order` folder to your `/wp-content/plugins/` directory or use Plugins > Add New > Upload to add. Activate the plugin from Admin > Plugins menu or Network Admin > Plugins in case of using WordPress MultiSite environment. 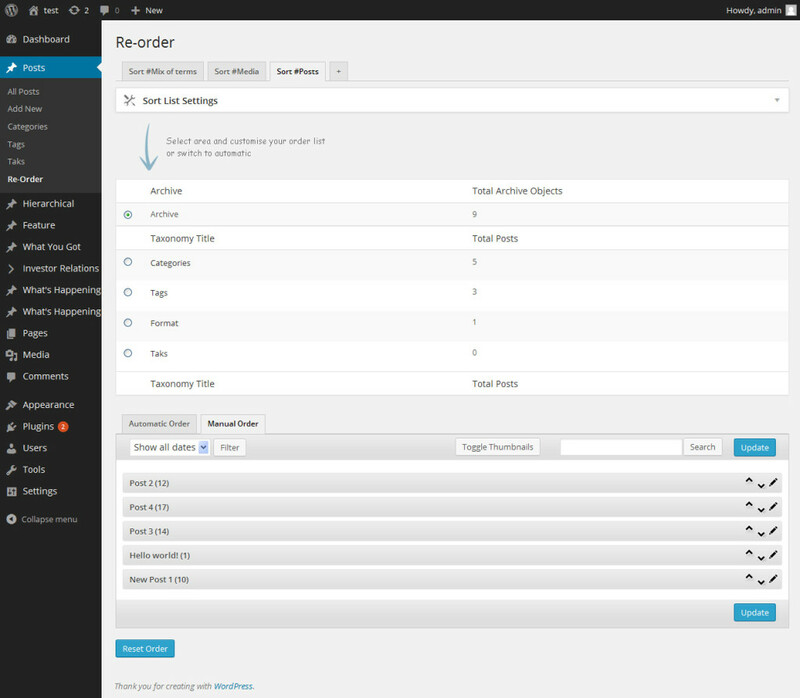 Once activated you should check with Settings > Post Types Order interface for additional functionality. Use Re-Order link which appear under post type menus to create sort lists. On a first install, the plugin will automatically create the sort lists for any custom post types (including default posts, pages etc) your site use. You can remove those anytime or create more. See Create Sort Lists for more details.